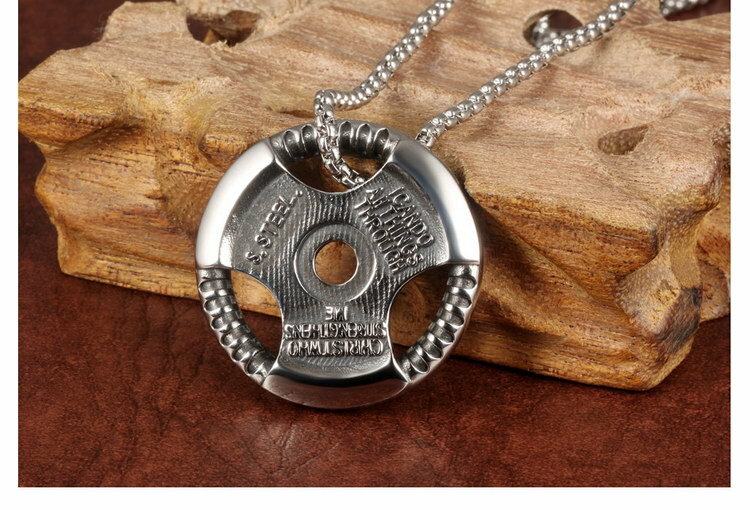 Engraved Weight-plate Charm: "I can do all things through Christ who strengthens me" whose message will show the love you have for Sports or Act as a constant reminder of your fitness lifestyle strengths. A great gift for Mom, Wife, Girlfriend, Daughter, Son and Friends on their Birthday, Anniversary, Valentine's day, Graduations, Mother's Day or Christmas Day. Fashion is a simple design which provides you with a cool look. And it will also match perfectly with any apparel that you wear in any occasions. This High-Intensity Fitness Chain will serve the same purpose, but the difference is in the style that it offers. 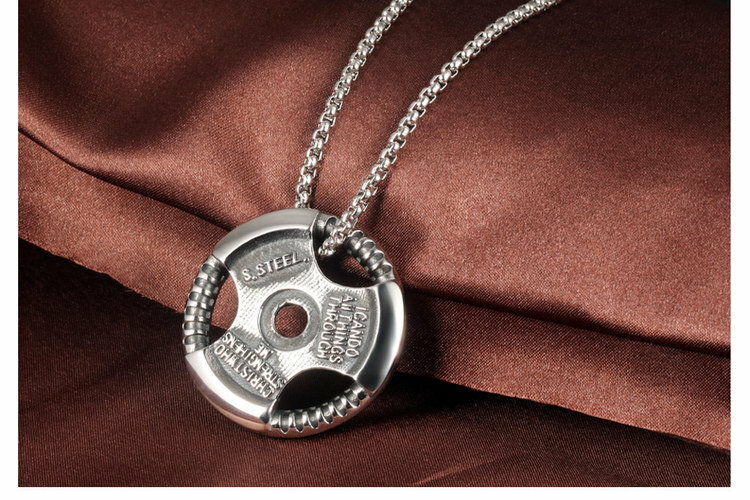 Now you can look your best at the gym or even on your night out with the friends. No matter where you are or what you are doing. 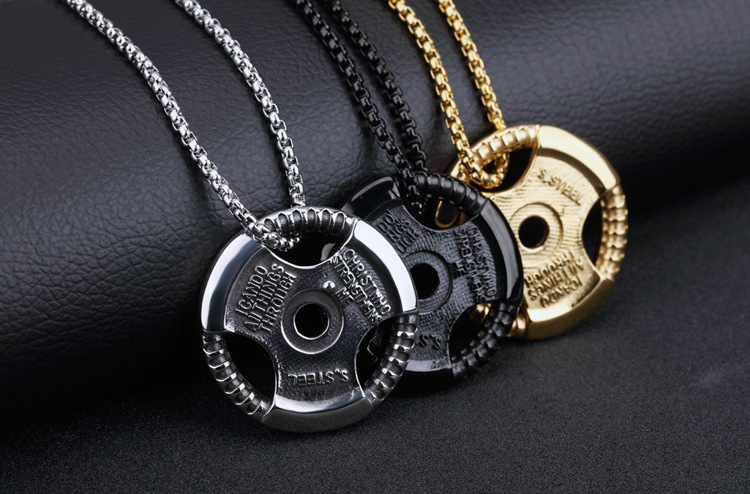 Being in possession of this chain will keep you from overindulging during a late dinner or from slacking off during your workout. 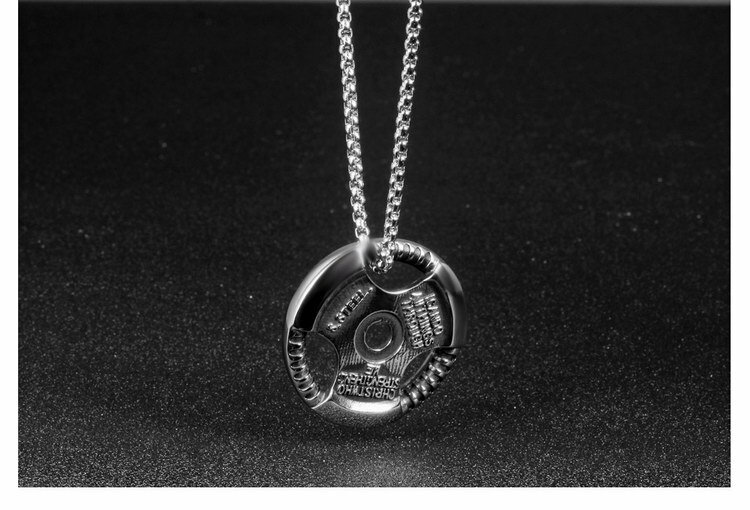 Sometimes all you need is a reminder of your goals and this stylish fitness pendant is the perfect piece of jewelry to do the trick. Stainless Steel jewelry does not tarnish and oxidize, which can last longer than other jewelry. It is able to endure a lot of wear and tear. And it is amazingly hypoallergenic. Such advantages make it a more popular accessory. High-quality stainless steel has high resistance to rust, corrosion, and tarnishing, which requires minimal maintenance. Stainless steel is one of the most bio-compatible metals, so stainless steel jewelry is amazingly hypoallergenic because of its anti-allergic properties. 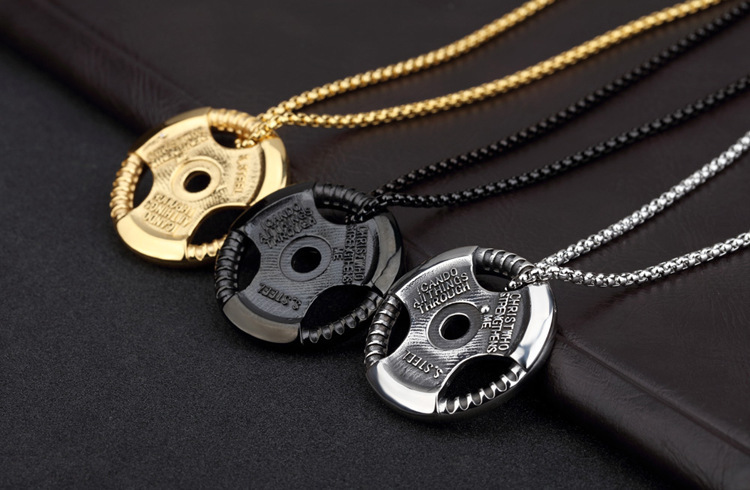 As one of the strongest of all jewelry metals, it does not oxidize and will be very durable. 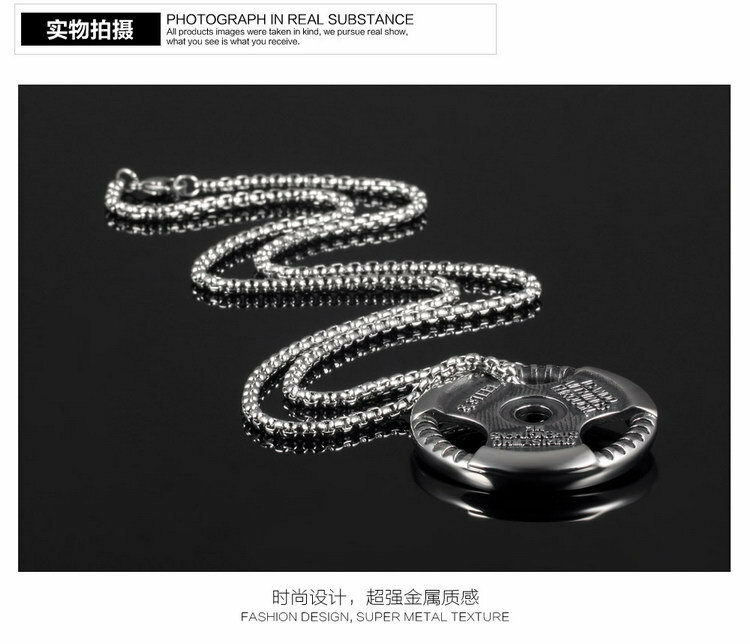 All makes it a top fashion accessory to complement your wardrobe with the sleek, contemporary styling offered by our stainless steel jewelry.